T.J. spent the first month of our married lives doing an away rotation at a hospital in Seattle. The Army set him up in an apartment walking distance from said hospital and so I spent most every weekend of that long month in that apartment with him. Honestly my first impression of Seattle was not great. It was January when I first got there. And it was cold and rainy and on the very first day T.J took me out to explore we had a really unsettling encounter with someone just one block outside the apartment door and I felt fearful and unwelcome, something I've never experienced in the big cities I've lived near before. 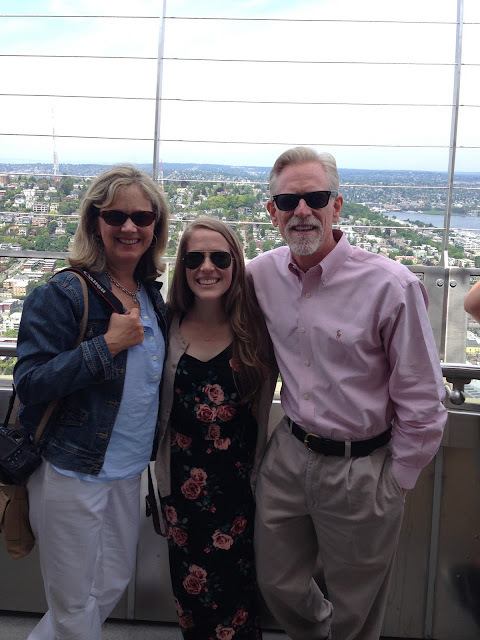 London, New York, D.C are some of my favorite places in the world and I wanted to add Seattle to that list. But I couldn't get my mind to stop focusing on the darker sides, the grunge, the impossible parking, the heart wrenching homeless, the fact that the weather always seemed to be a little bit gloomier than it was just a bit further south. To be fair, we had some sunshiney, happy moments in Seattle that month I mean we're newlyweds so I basically floated around in a lovey dovey haze, but in general I was pretty disappointed in what the city had to offer. Especially since before moving out here a bunch of folks told me that I'd really like it, that they could see me there. I credit some of that distaste with the fact that T.J. was working the night shift all month, and the apartment was not our home and I spent most of my days up there watching daytime tv while T.J. napped. Since that rotation ended back in February we've really only been back to the city a couple times. But when my parents came out to visit I knew they'd want to go. My dad especially wanted to see the Pikes Fish Market, which T.J. and I had visited on a gloomy Monday back in January and didn't see what all the fuss was about. 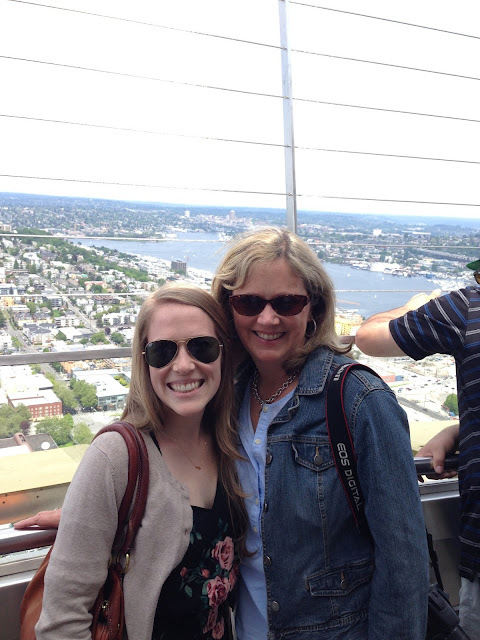 But I wanted to play tour guide and since it was Mother's Day we made a brunch reservation at the restaurant at the top of the Space Needle and then planned to hit up some of the other Seattle hot spots. We had beautiful weather that day and found parking really easily near the space needle, already a better start than our previous excursions. 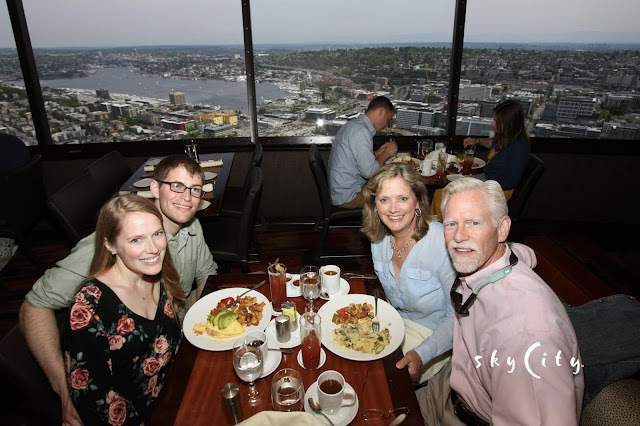 In my opinion the Sky City restaurant is the best way to "do the Space Needle" because it's a pretty reasonable fixed price 3-course meal and it includes your elevator ticket to the observation deck which on it's own would be expensive, this way you get more bang for your buck. 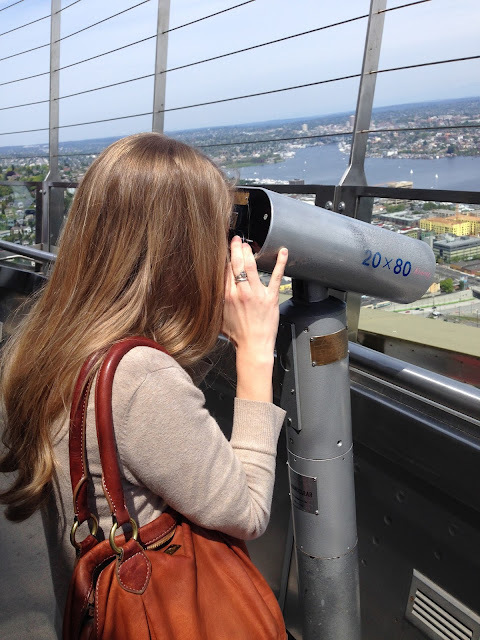 When we arrived, we simply checked in with the reservation desk and we got to go on up to the observation deck while we waited for our table. Then we got to enjoy a 360 degree panoramic view of the city while the restaurant slowly rotated during a really yummy meal. 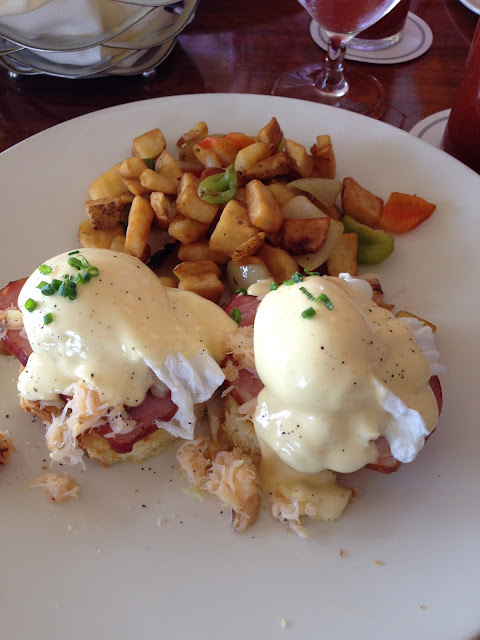 Maybe it's really touristy but I don't care because the food was good, and the company was great. This was T.J.'s and my first time to the Space Needle and I love that we got to share it with my parents for a special Mother's Day. After stuffing ourselves we spent a bit more time on the observation deck before taking the elevator back down and heading out to our next destination. From up above we had noticed a monorail and after a quick google we determined it was the perfect way to get to Pikes Public market. 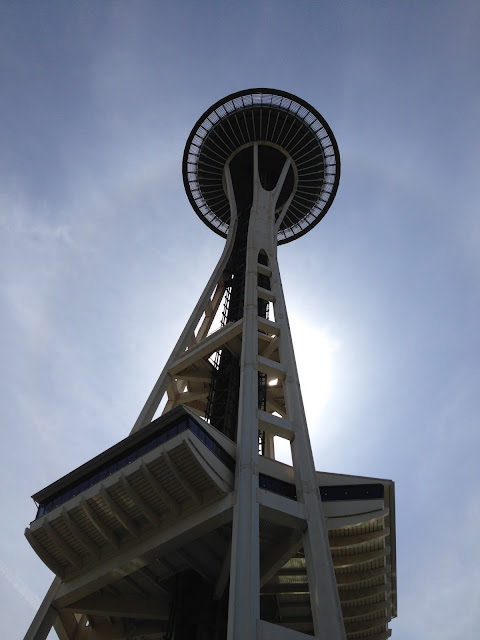 The monorail, like the space needle, was built for the World's fair and it goes back and forth between the needle and the market, plus it's soooo much cheaper than a cab and we appreciated that we didn't have to move our car. When we got to the market I was honestly a little surprised. It looked completely different than the day T.J. and I came to visit. There were the flower stalls I'd heard talk of all along the entire market with beautiful blossoms, and tons of people were milling about with fresh bouquets and smiles. We made it through the crowds to the fish stall and I realized I'd judged the whole thing too soon. There they were throwing fish back and forth, and filleting them up for folks to take home and enjoy. And it's loud and crazy and pretty awesome and T.J. and I definitely want to go back and get something to bring home and grill out. Walking around with my parents I got excited that we had this whole new city to explore and show off to visiting friends and family. I want to go back and be less of a tourist, and find new restaurants, and local shops and hidden spots, and I want to embrace this quirky, grungy, beautiful city. 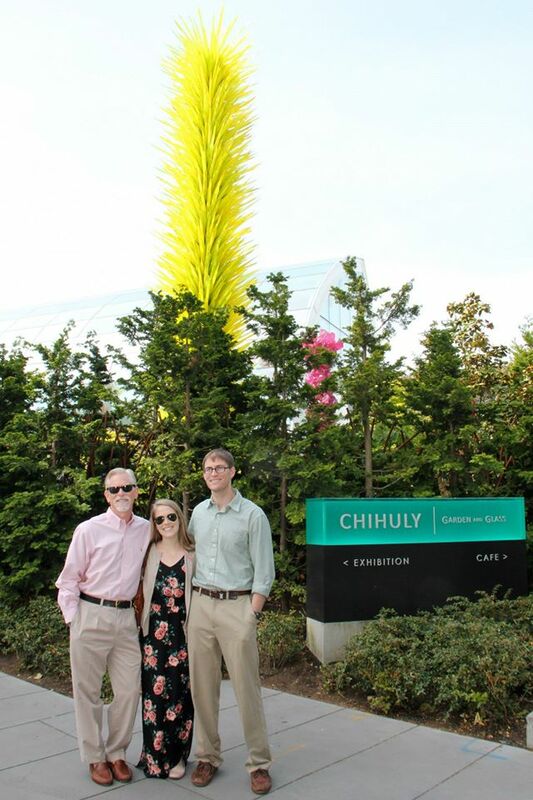 A Chihuly spot?!!! His glass art is amazing. The Space Needle brunch sounds wonderful and made a great Mother's Day spot! What fun you all had, and how nice that your take on the city has changed now. Please keep sharing the great places you find. I will probably never get to Seattle so I enjoy your photos and descriptions so much! Remember our first trip to Paris? Ha! 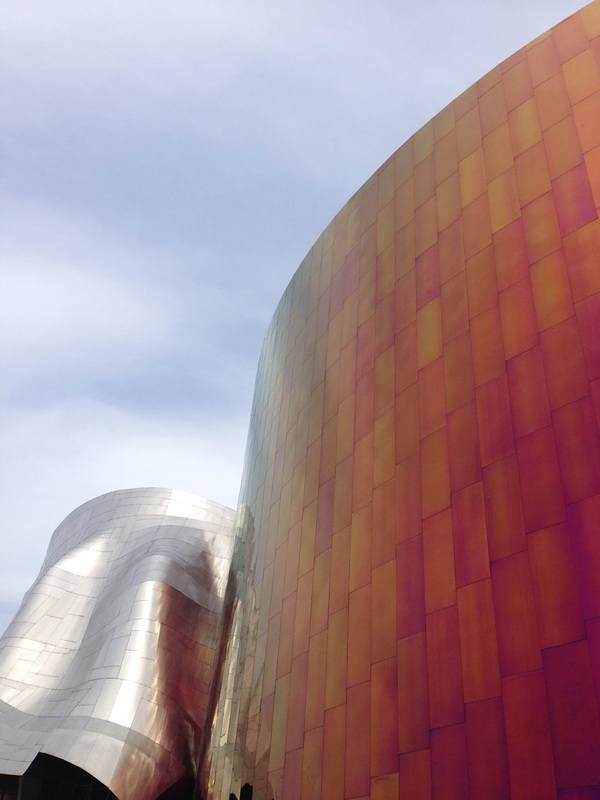 A rocky first impression, but another of my favorite cities in the whole wide world. Good weather always helps! When I come back I'll have a list : ) It was a fabulous Mothers Day!